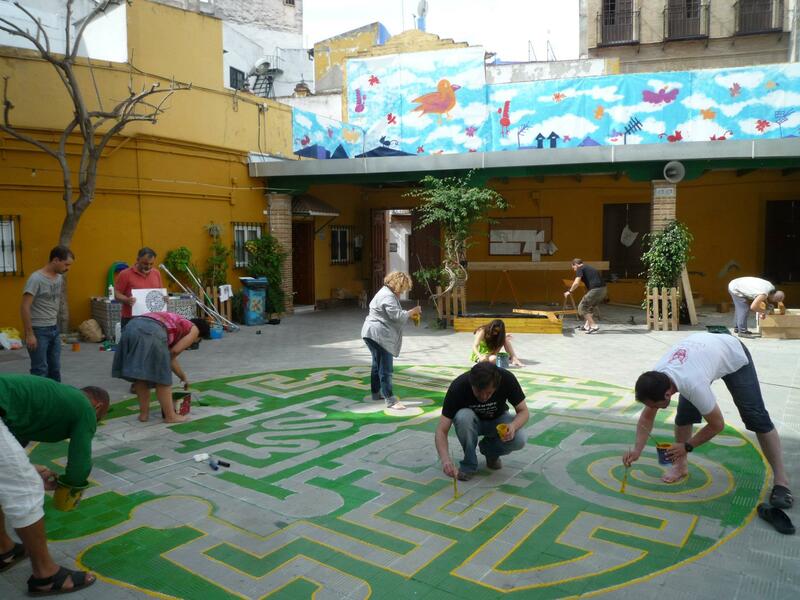 Founded in 2011, the Ponte Guapo Isidoro or “Make Isodoro Beautiful” campaign was created by from a group of parents and local organizations who wanted children to have adequate shade in their hot Sevillan schoolyard. Lacking public funding, parents sought community support by hosting a series of flea market fundraisers. After generating sufficient funds, Isodoro’s parent-alumni association (AMPA) contacted urban design studio Recetas Urbanas to help develop plans for a Lighter Quicker Cheaper project that would engage students from start to finish. 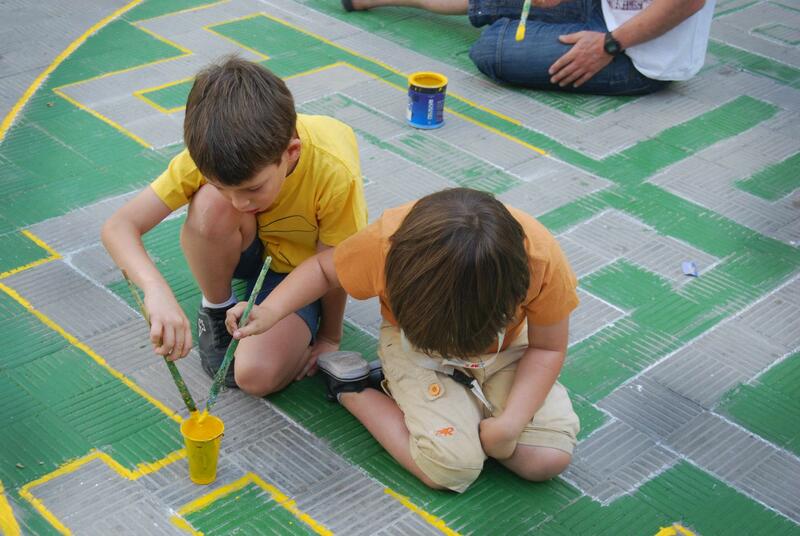 AMPA also reached out to artist collective La Jarapa to involve children in creating artwork throughout the courtyard. 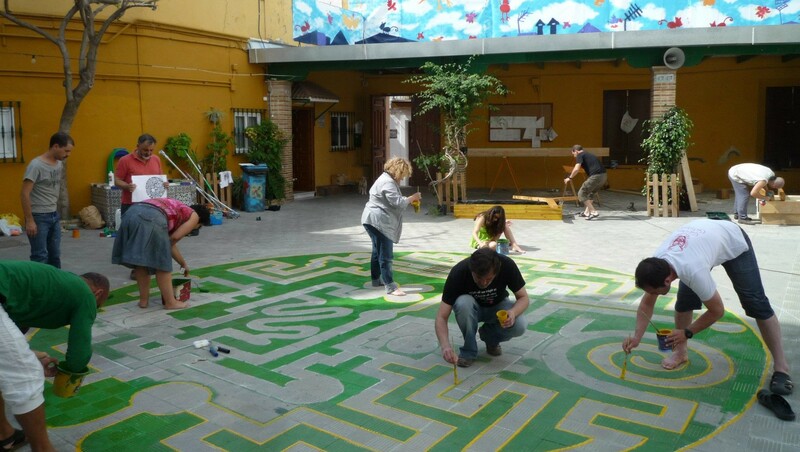 Students sketched ideas and layouts for the projects in class, and later implemented them with murals on the courtyard walls, drawings on the shade structure, and a labyrinth on the central patio. 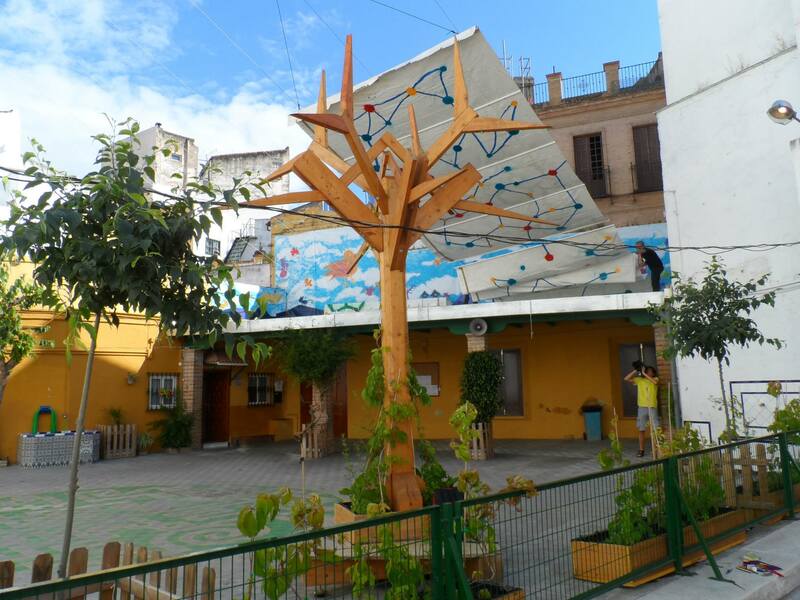 In 2013, after two years of design and deliberation, students and alumni collaborated to equip the playground with a pergola with fabric awning, two shade trees, and a self-designed tree made of scrap lumber. Along with giving parents a unique opportunity to share their skills and get involved with the school, this LQC playground project also helped to create a sense of pride, ownership, and creativity among the students.